The EZ 4-5 is a non-computerized, rugged, higher output machine. 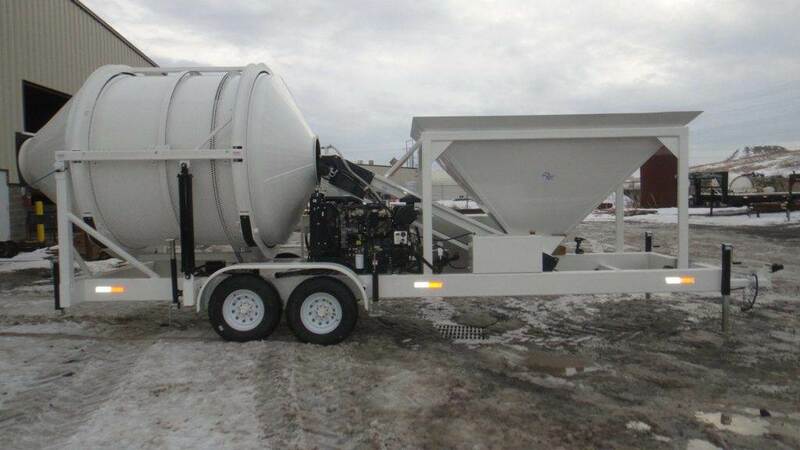 This concrete mixer / batcher combo is small and compact yet this batching plant can really produce. With its 4 yard drum capacity and incredible cycle times of 7 to 10 minutes, you can generate 24 to 34 yards or more per hour! 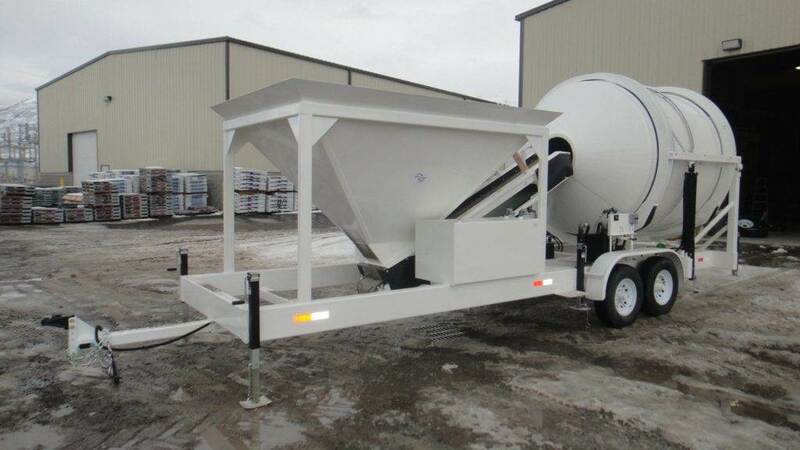 The new “Side Auger System” allows you to conveniently apply small bags of portland cement to a bin and augers the material up into the drum, allowing a fast and easy application. This unique design employs a through-drum mixer that achieves an excellent mix. 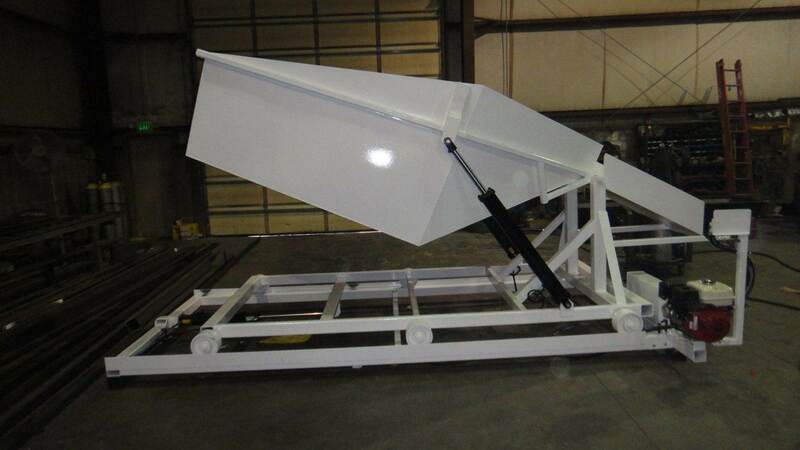 Loading the mixer is easy with its 5+ yard hopper and conveyor loading system. The EZ 4-5 has a pallet loading stand, stabilizing jacks with a bag breaker, and a water meter. 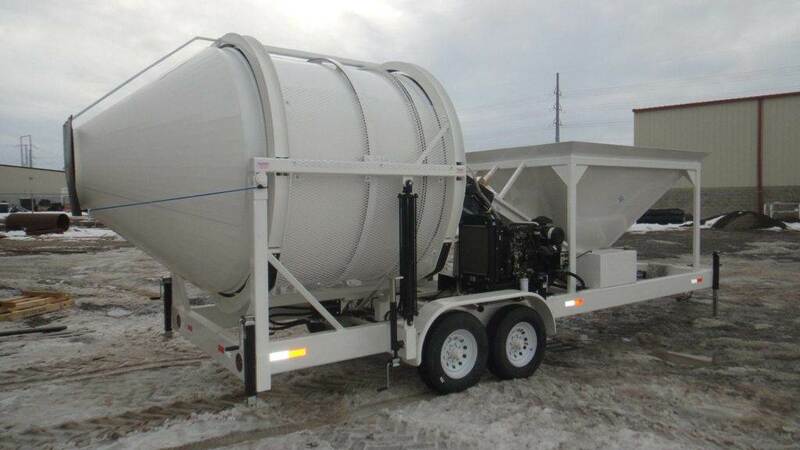 This mixer batching plant comes standard with a 60 hp diesel engine. 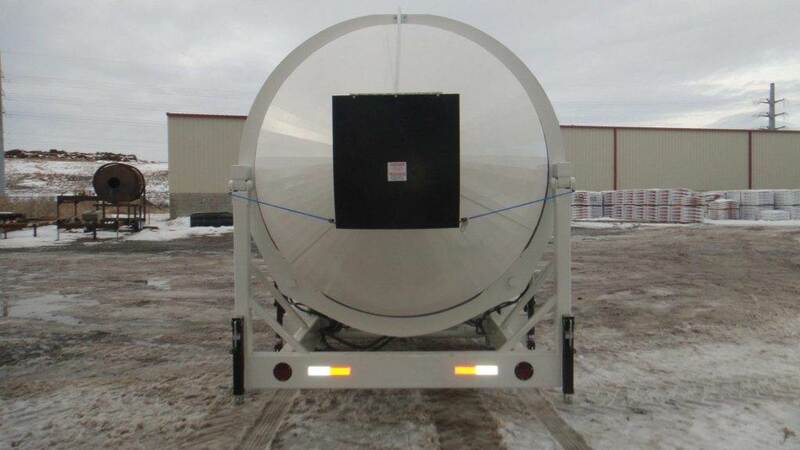 Can be towed or air lifted by plane or helo to remote job sites. Perfect for the contractor who needs 10+ yards an hour and whose help is not skilled. With this batch plant you can say goodbye to short load fees and make concrete on your time, not the concrete plant’s. The automated EZ 4-10-2 with Auto Controls is available as an upgraded alternative model. Sand, Gravel, and Water are measured automatically. The water meter measures exact water readings for yardage control. Cement is loaded into the mixer with a silo or directly onto the belt with the standard bag breaker. Print tickets are available with this model. This machine is more accurate where spec concrete is required.